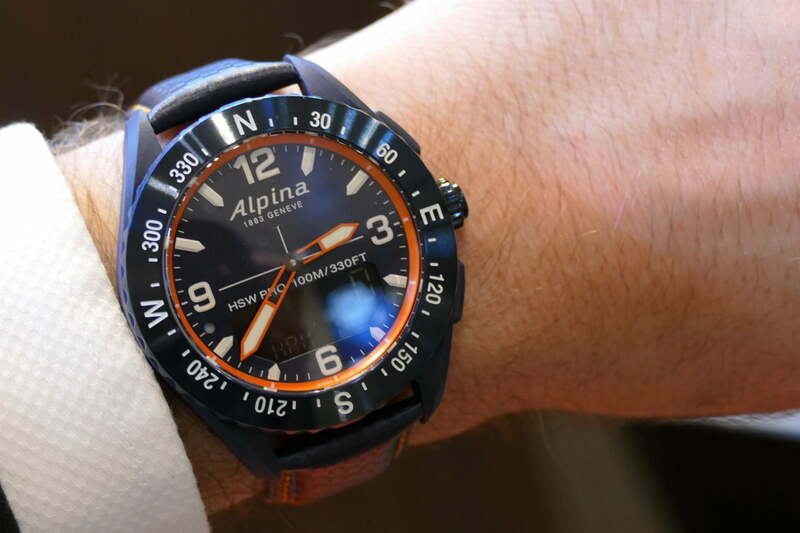 Following the successful launch and Kickstater campaign in 2018, Alpina has added four new designs to its AlpinerX smartwatch, and made some technical alterations to make the watch more appealing to sports and outdoor activity fans. If you’re new to the AlpinerX, it’s a wonderful mix of mechanical Swiss watch and outdoor-focused smartwatch technology. Let’s look at the new colors first. The most eye-catching shifts away from the sporty look for a more everyday style. A light brown leather strap with off-white stitching matches the black glass fiber case and stainless steel bezel perfectly, and because the leather only has a nape on the top, it’s comfortable to wear. 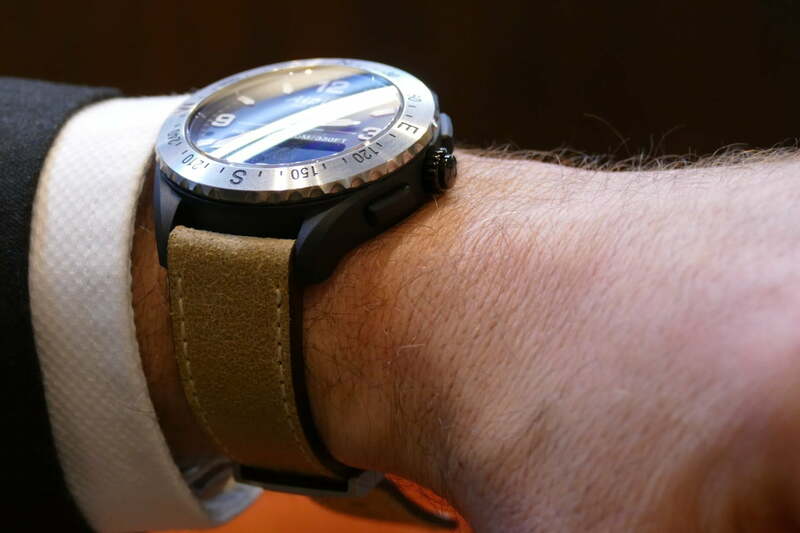 It was easy to forget the 45mm watch was on our wrist with this strap. Another version with a stainless steel bezel comes with a black rubber strap, with Alpina and Geneva embossed on it. The other two new models have body-colored stainless steel bezels — one in blue, and the other in black. The black version is stealthy, with white numbers on both the face and the bezel, while the blue and orange model was considerable louder. The orange ring around the face really stands out, as does the orange stitching on the leather strap, which like the black version has a carbon-like texture. It’s a bold look on the wrist, while the black is much more subtle. Additionally, there are two limited edition AlpinerX watches, one for Alpina’s 135th anniversary, and the other a collaboration with the Freeride World Tour snow sports event. How about the technical changes? 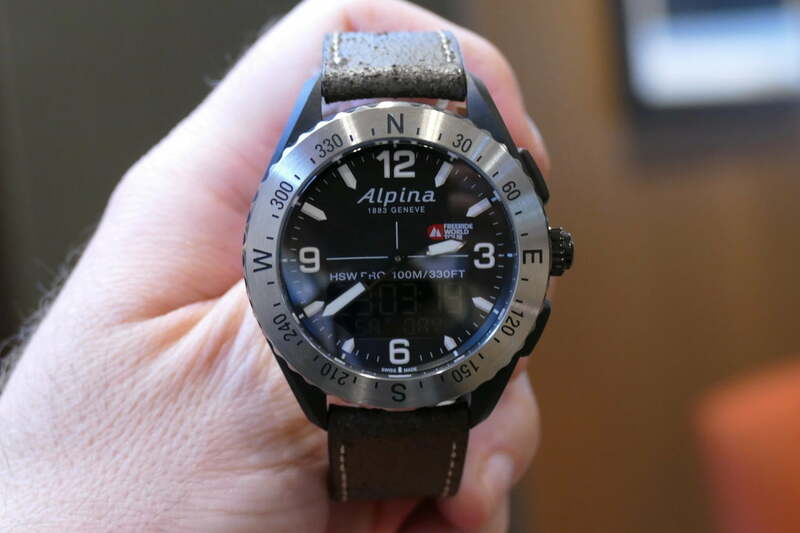 Alpina has paid attention to requests originating from the Kickstarter campaign, which requested heart rate monitoring and GPS. It has implemented both, but with caveats. 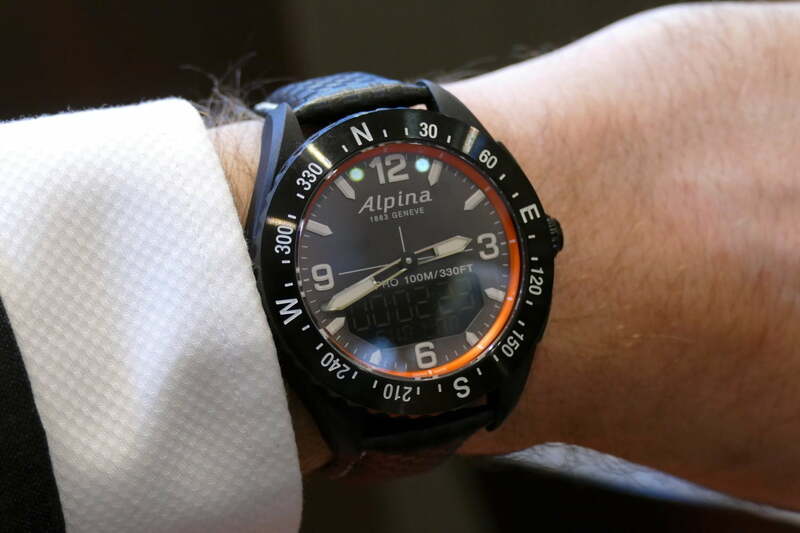 Adding a complete GPS unit would make the watch too big, Alpina said, as the case must still house the MMT-283 Caliber movement, so the watch has been updated to support GPS from a connected phone. Rather than redesign the existing watch with a built-in heart rate sensor, the AlpinerX has support for third-party, body-worn heart rate sensors. While neither solutions are what Alpina considers ideal, these functions do still fulfil the needs of people interested in buying one. The AlpinerX was one of our favorite hybrid smartwatches from last year, due to an attractive design, intuitive app, and just the right amount of smart features. 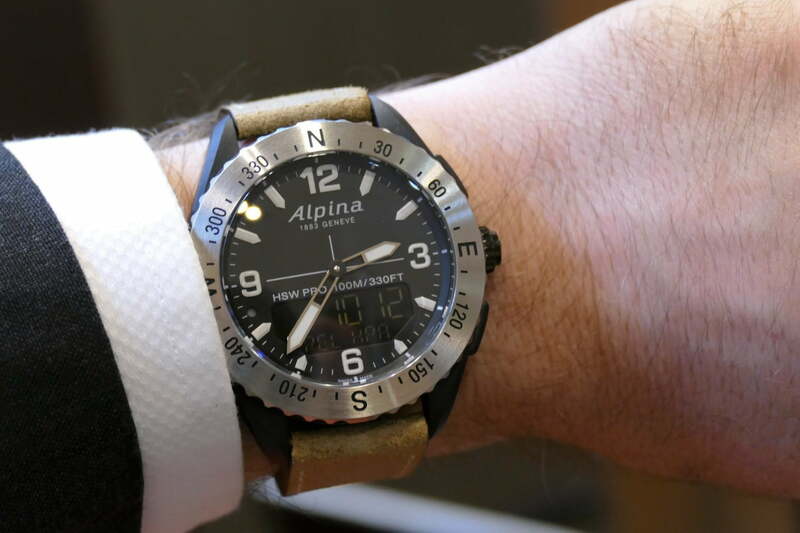 Alpina will release the new AlpinerX smartwatch designs in April, and each is priced at $1,000, or 895 euros. The watches can be purchased through Alpina’s website or through selected retail partners.